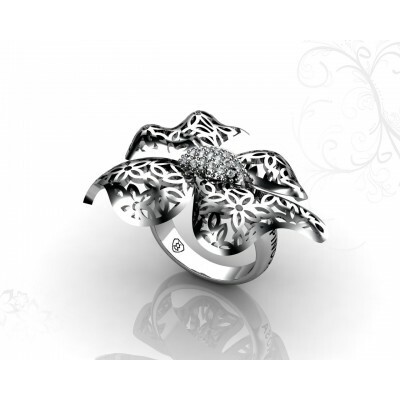 An exclusive heart-shaped design, in middle have a draft drawing with motifs of leaves and around 2 rows of 2mm brilliants with total weight 2.59ct quality H-VS. 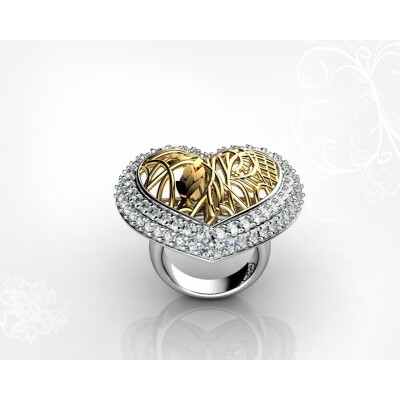 This gold ring combines a total of 21.20g of white and yellow gold. 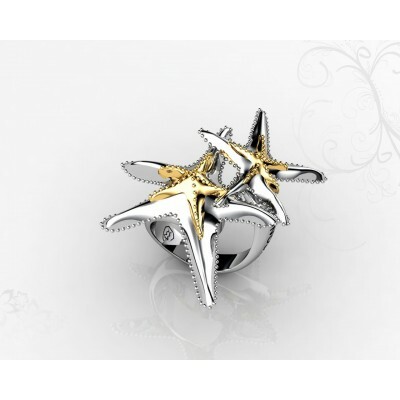 An exclusive design 16.2g 18k gold designer ring is made with 2 starfish on top of the ring. 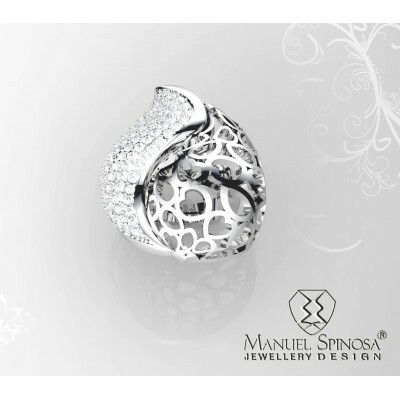 A solitaire gemstone ring by Manuel Spinosa made with 16gr of 18k gold. Original design with roc cristal of 9.50mm in the center of the ring. 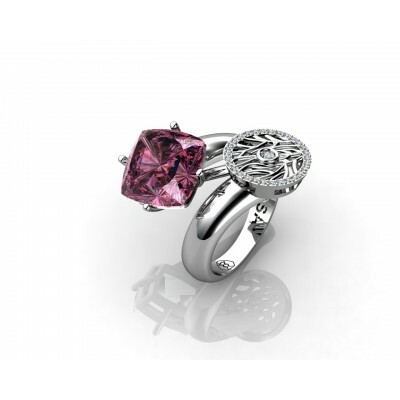 Clients can choose the type of semi-precious gem to use such as amethyst, blue topaz, tourmaline or onyx. 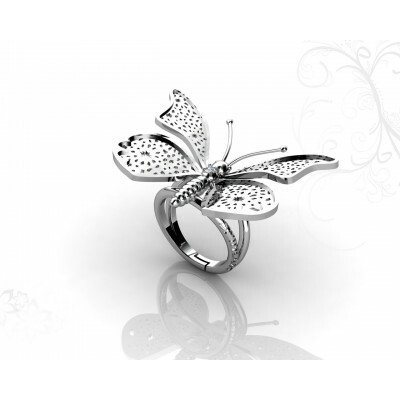 A modern style 18k gold inspired by a butterfly with a draught in the wings design. The glossy side of the butterfly's head is 2 mm with a total weight of 0. 035ct quality H-VS.
Gemstone designer ring made with 31.25gr of 18k Gold. 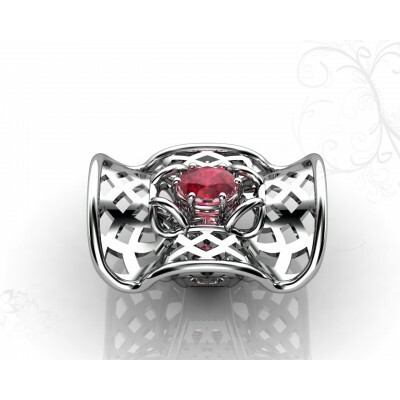 Original design with oval cut ruby of 7x9mm. 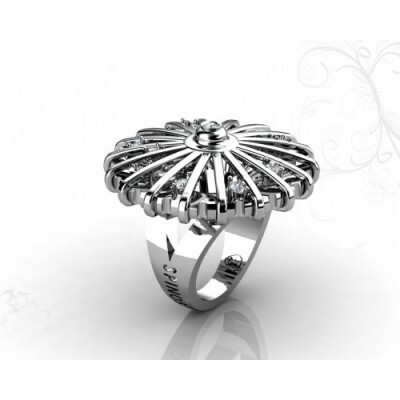 A Contemponary designer ring, perfect for a cocktail party. 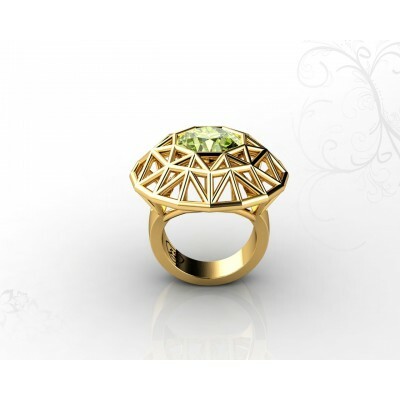 Gemstone ring made with 9 gr of 18k Gold. An original and minimalist approach using cushion cut amethyst and 0.22ct Brilliants, high quality H-VS.
Be one with nature with this beautiful floral style 17.68g 18k gold ring. 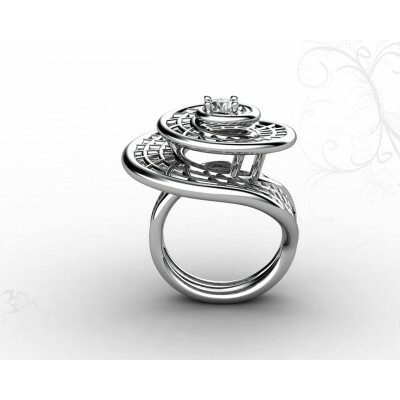 This ring is both modern and minimalist inspired with 28 brilliants with a total weight of 0. 252ct quality H-VS1.